Lost one? You can replace individual templates here. Twisted templates are no longer available for replacement parts. Need larger quantities? Contact us for wholesale details! The Snap Templates describe themselves! 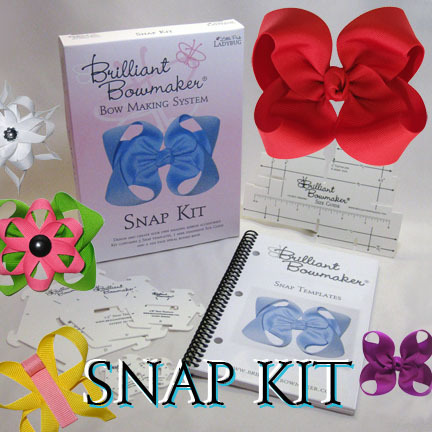 You can make beautiful twisted boutique bows in a snap. These poufy dimensional bows will stay new and stylish with over 10 different folding techniques to mix up your project. With no need to measure, you can use the size guide to wrap your ribbon and snap it into the template. Your loops are even and the angles are perfect. Variations include beautiful ribbon sculptures like flowers, snowflakes and butterflies. 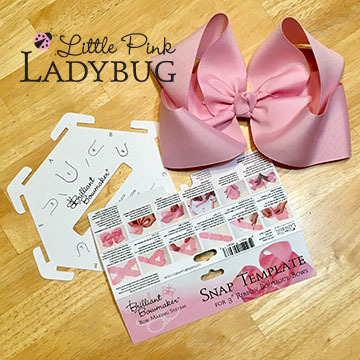 The Snap Templates offer different options for each step of the bow making process which will also allow crafters to choose their method of work. Kit includes templates for 3/8", 5/8", 7/8", 1.5", and 2.25" ribbon, Nine dimension Size Guide and Spiral bound instruction and idea book. Twisted boutique bows have lots of dimension to them and the angles are traditionally hard to master without months of practice. But they are a beautiful accessory. 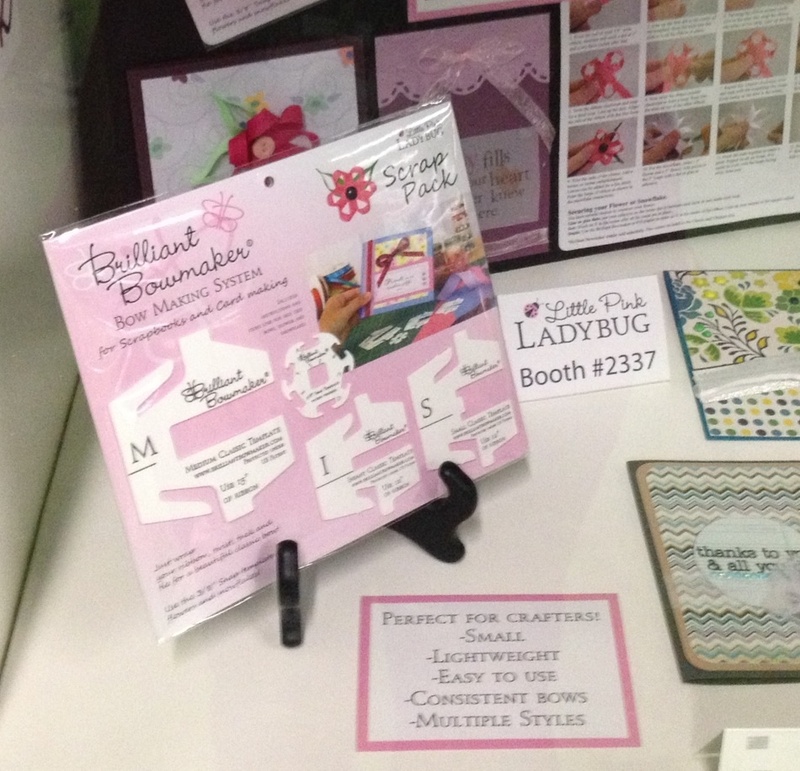 The book includes 7 techniques including the Quick and easy fold, True fold, Split tails, Stacking, Layering, Criss cross, Long tails, Cheer bows, Half and Half, Stacked with tags and Surrounds, Ribbon sculptures like a flower, Snowflake and Butterfly, and Tuxedo bows. It also has some fun ideas and suggestions! 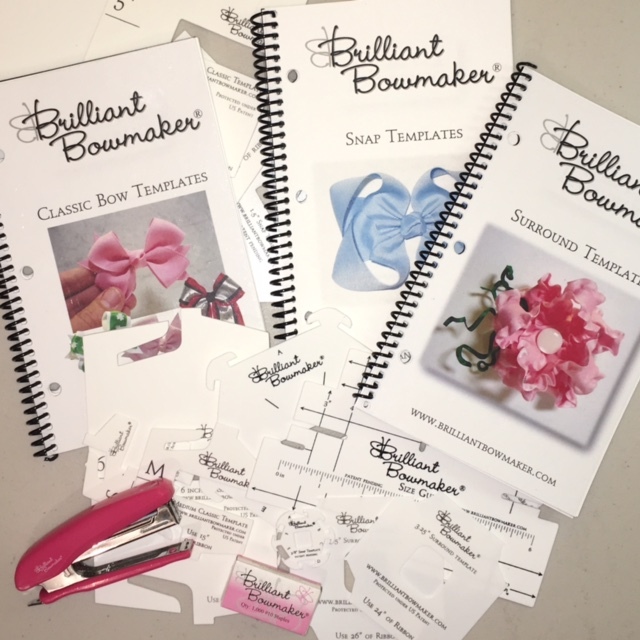 It covers supplies, tools, hardware, cutting and sealing ribbon, and comes with a great chart for choosing the size bow, ribbon width and template to use. 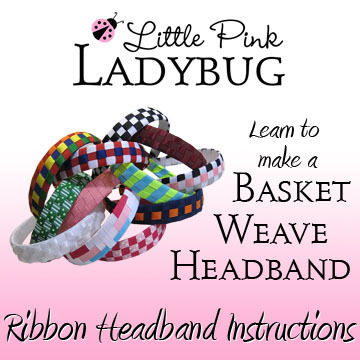 Fold your ribbon with one of the methods listed above. This item is automatically emailed to the address used in paypal. 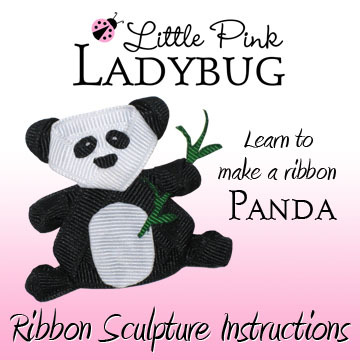 Learn to make this adorable Panda! Originally handcrafted by master ribbon sculptor, Karyn Ranzau. You will have this design carefully broken down step by step to recreate these mini masterpieces for yourself. 67photos and 21 full pages of simple instructions will guide you through this engaging art. Don't miss out! Make these adorable animals yourself! Link will be automatically emailed after payment.